IQ Option recently increased the minimum investment amount on forex and CFDs (contracts for difference) to $20. However, IQ Option has reduced this amount to $10, in the meantime. A $10 INVESTMENT IN A BARCLAYS STOCK CFD (CONTRACT FOR DIFFERENCE). A lower minimum investment amount suits small investors better, so this reduction has been welcomed by many traders. This change applies to regulated and non-regulated users. 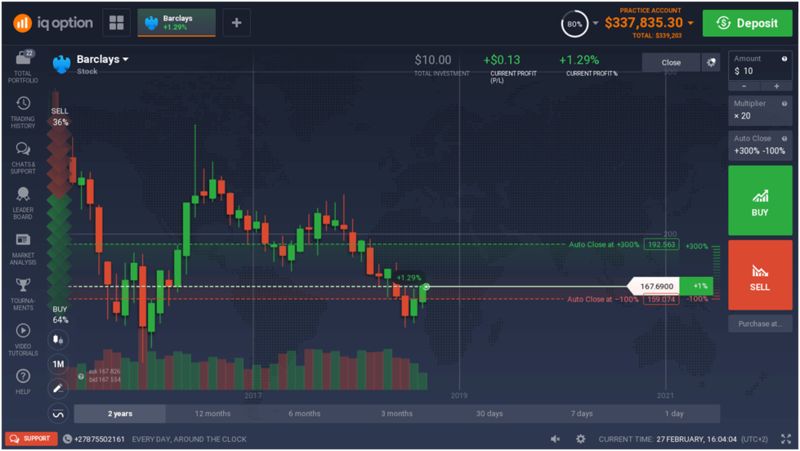 Don’t forget that non-regulated users can participate in binary and digital options trading with a really low minimum investment amount of only $1.